And find why we are the fastest growing Community of freelancer consultants in the world. 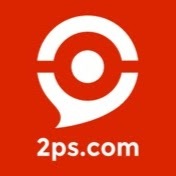 2PS is a collective of independent consultants. To join our network, consultants must subscribe to have access to all the features of our platform and the many benefits of our collective. They are then evaluated throughout their lives in the network through our platform that encourages and supports peer review by fostering those who have and maintain a good reputation within the network. Why is it advantageous for companies to do business with a 2PS consultant? In the market for independent consultants, the quality of services varies greatly. With 2PS you have increased visibility on the quality of services already provided. Our scoring and scoring system always directs you to the best consultant closest to you. Being independent, and thanks to our very flexible remuneration mode, these professionals benefit from a total freedom of invoicing which allows them to offer you their services at reasonable prices. 2PS does not impose any special pricing grid on them. They do not have the costs that large consulting firms can have and they can, therefore, charge reasonable prices in relation to their skills. Why would experts want to join the 2PS network? The experts who join us are aware that great things are not accomplished alone and although experts in their fields, the complexity of the problems facing today's organizations, require knowing how to pass the baton to other trusted experts.